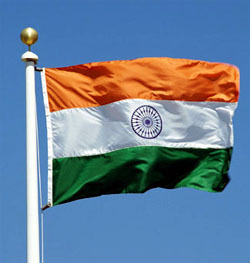 India's Independence Day 2006 (August 15) has come and gone. India's Prime Minister made the customary address from the ramparts of the Mughal Red Fort in the old city of Delhi. His long speech once again made the customary references and tributes to the nation's farmers, workers, teachers and the defence personnel and announced the various development schemes named after the members of the Nehru-Gandhi family. India undoubtedly has made stupendous economic progress and established itself as an important global player. But what cannot be disputed is that all these achievements have resulted from the cumulative contributions of the last 15 years or so. The credit for the same cannot be claimed by the present Government or the present Congress leadership. The entire credit for giving a complete U-turn to the Indian economy from the socialistic economic models of the Nehru-Gandhi leadership and putting India on the path of economic liberalism and fast growth goes to India's first Prime Minister from South India'the late Prime Minister P V Narasimha Rao. Sadly, no development schemes seem to be named after him by the Congress Party to which he belonged. Sadly too, the present Prime Minister did not graciously acknowledge this in his speech as he was the Finance Minister in Rao's Cabinet and it was Rao's political decision which he translated into economic policies. No tribute seems to have been paid in the Prime Minister's speech either to the 'Captains of Indian Industry' who until the beginning of the 1990's despite bad governance kept plodding to move India forward economically. Once released from the stifling gridlock of governmental controls and permit-rule by late Prime Minister Rao the Indian industry under the dynamic leadership of its industrialists and businessmen surged forward to achieve sustained rates of economic growth of 7-8%. As India enters the 60th year of its independence, a key observation that strikes one's mind is that could India have achieved its present stupendous economic growth decades back if a regulatory economy would have been dispensed with in the decades prior to the advent of the Narasimha Rao regime? The answer is a firm yes and possibly by now India could have outpaced China. It also strikes the mind rather painfully, that while India's economic progress is reaching dizzy heights, India's political progress in terms of the quality of her political governance, political values of the political leaders and the polity and political integrity have shown no commensurate progress. In fact India's polity is sliding down into what one may call a total irrelevance eventually in a dynamic India on the move. India's political leadership cutting across the entire political spectrum is making India into a divisive society driven by casteist politics and minority vote-banks electoral politics. The present Government has included tainted politicians and those with criminal backgrounds in its Council of Ministers. Regional political leaders under whom their states were noted for corruption and economic backwardness occupy important portfolios. Economic reforms are announced and then rolled back under similar pressures. Secularism is flaunted from every corner by many of these politicians who neither know the spelling of secularism or its import. The day after Independence Day a leading TV Network interviewed a number of Members of Parliament and regional leaders in the precincts of the Parliament House and asked them two questions. First, who wrote India's National Anthem and the second, what was the full name of Mahatma Gandhi. It was shocking that none of them could answer these questions. While inability to answer the first question can be dismissed as general ignorance and lack of interest in things of national importance the inability to spell out Mahatma Gandhi's full name is inexcusable and a matter of national shame. Have India's politicians slid into such an abyss of ignorance that they cannot even name the Father of the Nation by whose name they swear to be secular and invoke his name at virtual every political meeting. What then strikes the mind is as to why this striking variance between a dynamic and vibrant India at large moving forward despite such poor political standards and lack of vibrancy in India's political class which is expected to set exemplary standards of intellectual brilliance ,personal integrity and probity for the nation. This is something to which India's social scientists need to apply their minds to. It is the same society which throws up both theses contrary segments'one imbued with India's progress and achieving India's national aspirations and the political class mired in divisive politics and impeding India's blossoming into a cohesive force by their casteist politics and minority vote-banks electoral politics. In the 60th year of India's independence the final striking observation that one would like to leave the readers with is whether India's Parliamentary system of governance has been a political failure and needs to be replaced with a Presidential system of governance!